So far, we’ve had three firm dates for stops on our trip: the 4th of July in Maine, the beginning of September for Montana, and October 18th in Wellington, TX, for NomadFest. The original plan had us spending more time crossing the country to Montana and then rushing south for NomadFest. Since we rushed a bit through South Dakota to line up with my parents’ trip to Montana, we found ourselves with some extra time to spend on our way to Texas. A stop in Idaho was always a ‘maybe’ on the initial route plan. I’d seen some awesome pictures of the Sawtooth Mountains, and I really wanted to go see them in person, but it wasn’t a top priority. With our extra time now, though, we could make it happen! 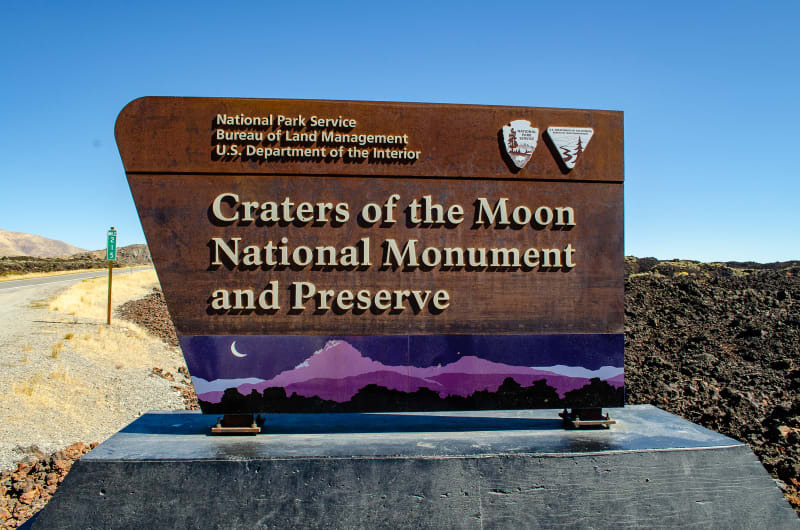 While browsing a map to plan the trip, I also came across Craters of the Moon National Monument. We’re trying to visit as many National Park Services sites as we can, so it was a good candidate for a stop. The initial picture Google Maps shows you doesn’t really stand out, but when you take a look at the site from a satellite view, it’s a different story. We definitely had to check that out, too. It was a quick trip, so we parked the RV at a boondocking spot in between the two sites, near Picabo, Idaho, and did day trips to visit them. 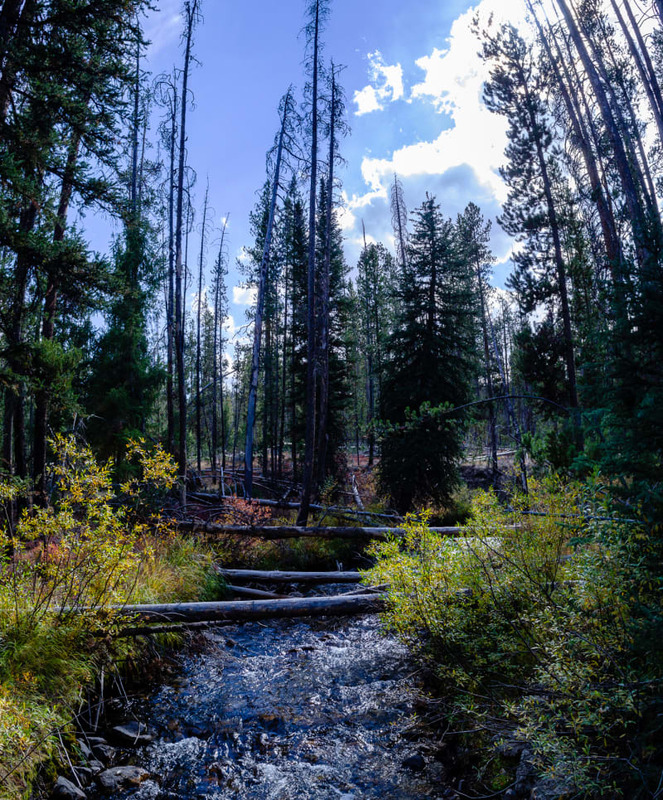 We drove north into the Sawtooth National Recreation Area along state highway 75, also known as the Sawtooth Scenic Byway. You drive through a few cute little winter resort towns (including Hailey, Idaho, a town that I loved) before ascending into the mountains. 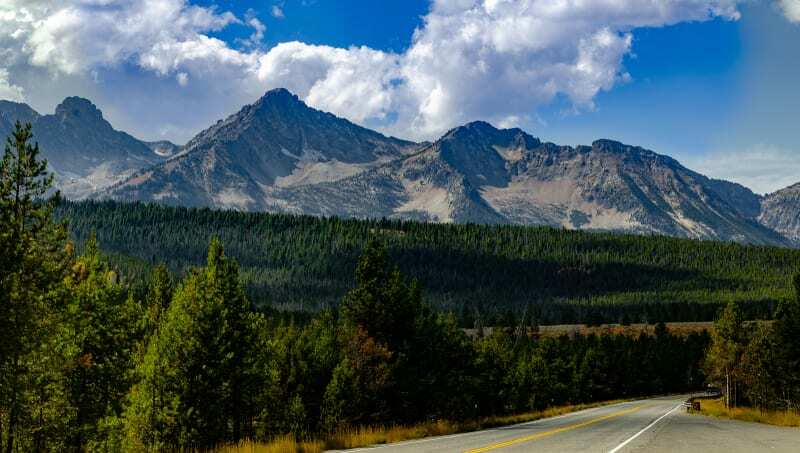 You pass through Galena Summit at 8701’, and you are treated to expansive views of the Sawtooth Mountain Range beyond. 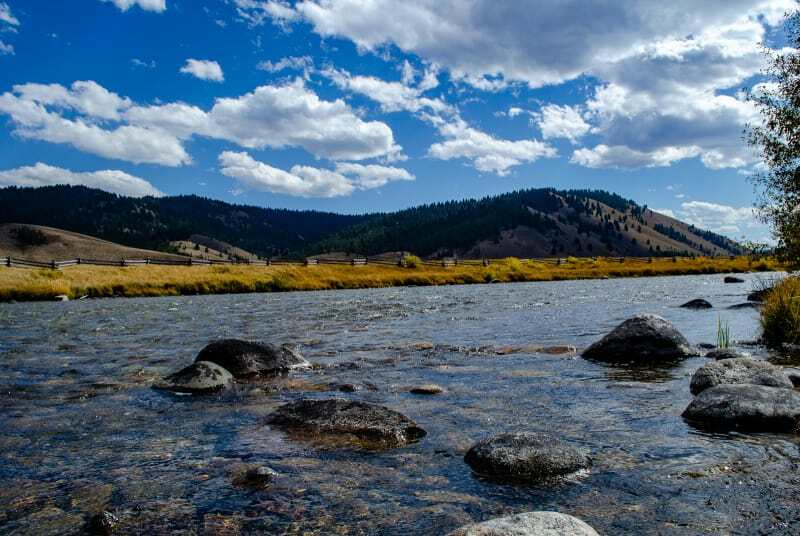 You descend from the pass and follow along the Salmon River, the “River of No Return,” which begins in the valley and is one of the largest undammed rivers in the country. 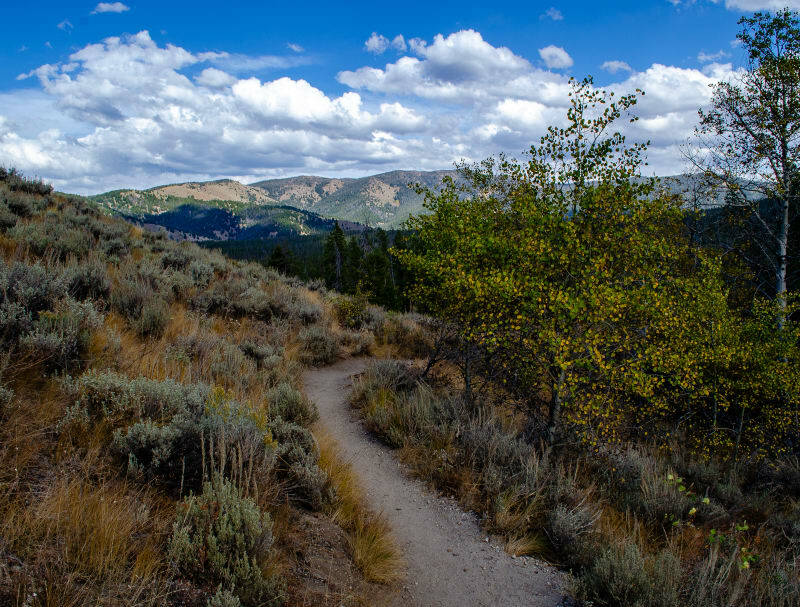 We continued along the Sawtooth Scenic Byway and stopped at Alturas Lake for a picnic lunch. The lake has several campgrounds around its shores, and we pulled into a site near the water to eat. We also took the opportunity to (legally!) fly the drone in the national forest area. After lunch, we continued the drive north toward Stanley, Idaho. 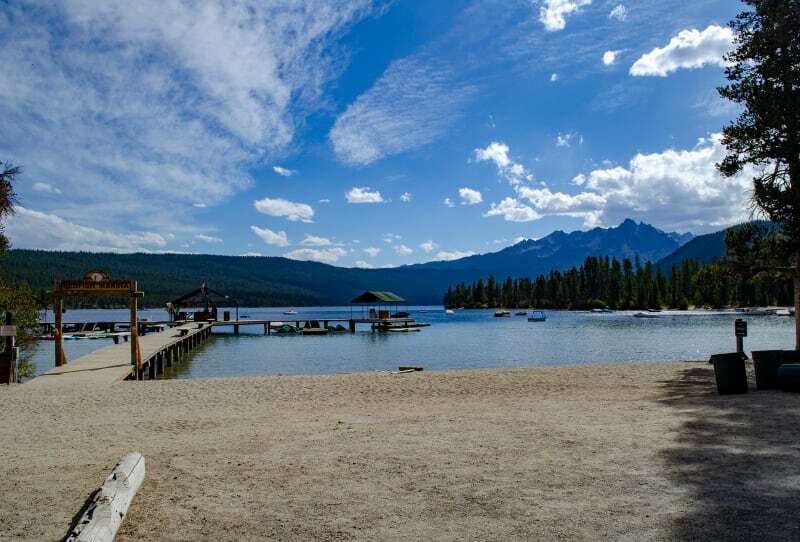 We also stopped at Redfish Lake along the way, the largest lake in the recreation area. It was a pretty lake, but the accessible areas were mostly owned by the Redfish Lake Lodge, so we couldn’t easily access them. Instead, we took a hike out into the surrounding National Forest area and flew the drone a bit more. 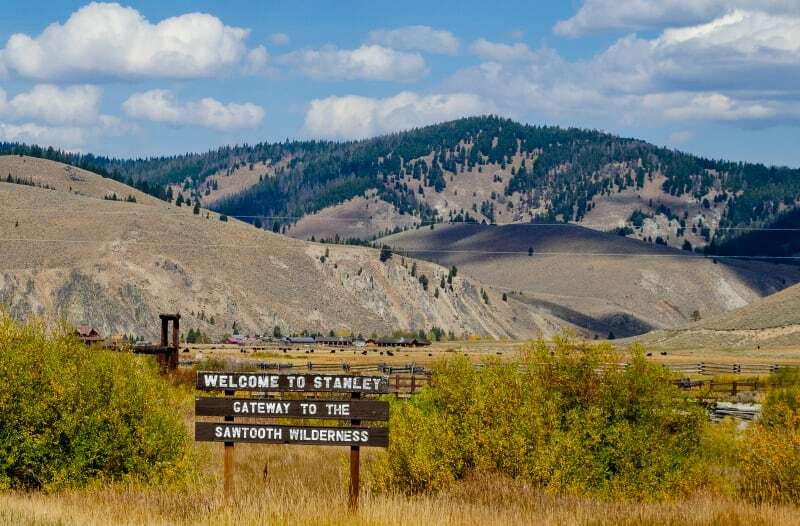 We continued on and arrived in Stanley, a great little town located in the heart of the mountains and forest. This was the end of our day trip, and we turned around to head back to the RV. If we had more time, though, it would have been a great spot to set up camp and explore more of the surrounding area. The whole area was beautiful, and I would love to get back here again and spend more time. 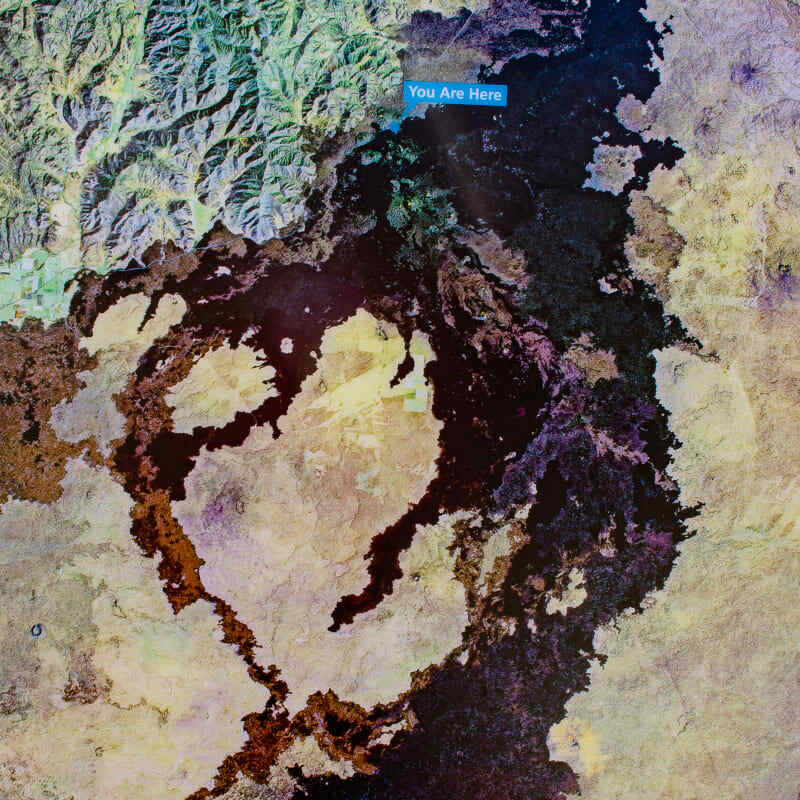 Craters of the Moon formed during 8 major eruptive periods spread across the past 15,000 years. As far as geologic events go, that’s incredibly recent. The last major eruption was about 2000 years ago, and they’ve occurred on a roughly 2000 year interval, so they actually expect that another will happen sometime soon. 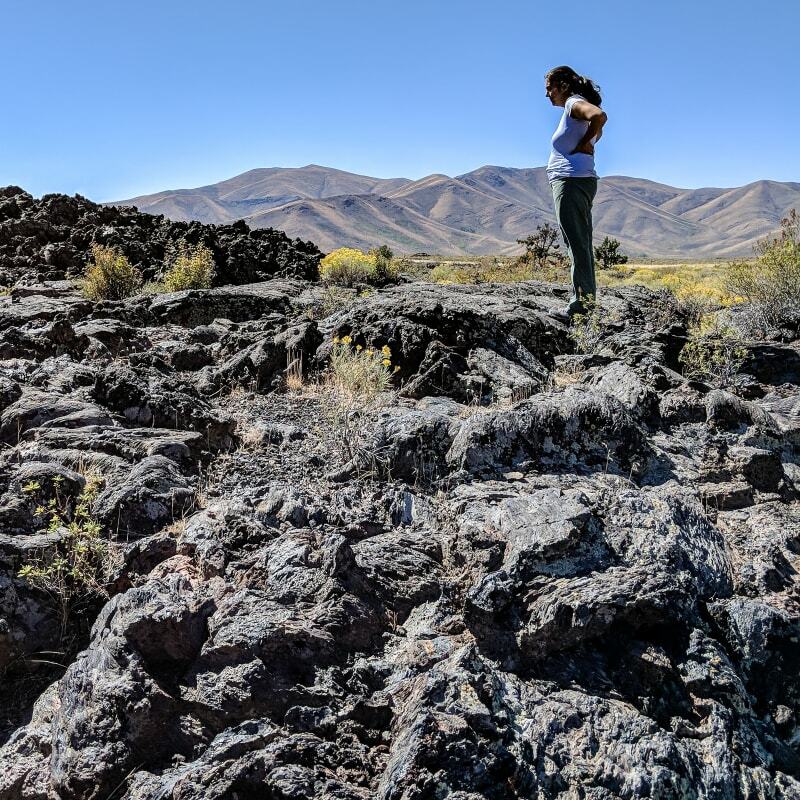 The national monument now protects what is the largest young lava field in the contiguous United States. It really was an otherworldly experience. If you were blindfolded and dropped in the middle of the park, you’d think you were on another planet. The Apollo astronauts came to Craters of the Moon to learn geology prior to their trips to the moon, and NASA still tests equipment here. Most of the park area is pretty inaccessible. You can do backcountry hikes, but I can’t imagine trying to hike across the undeveloped lava fields. The northern end of the park does have a visitor center, scenic drive, and some short hikes and exhibits, though. 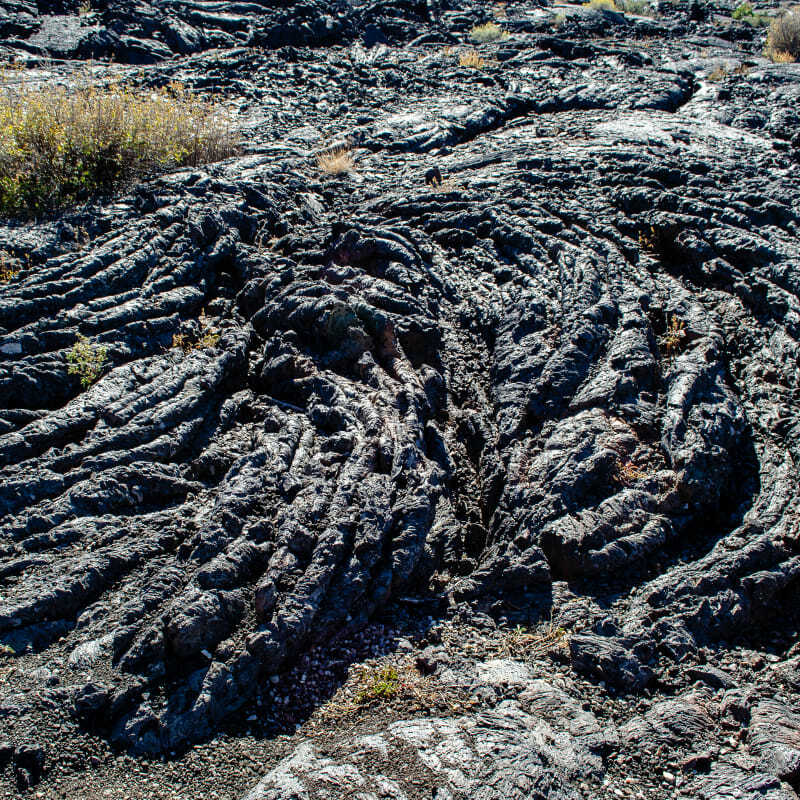 There are great examples of the various types of volcanic cones and lava flows that can form. 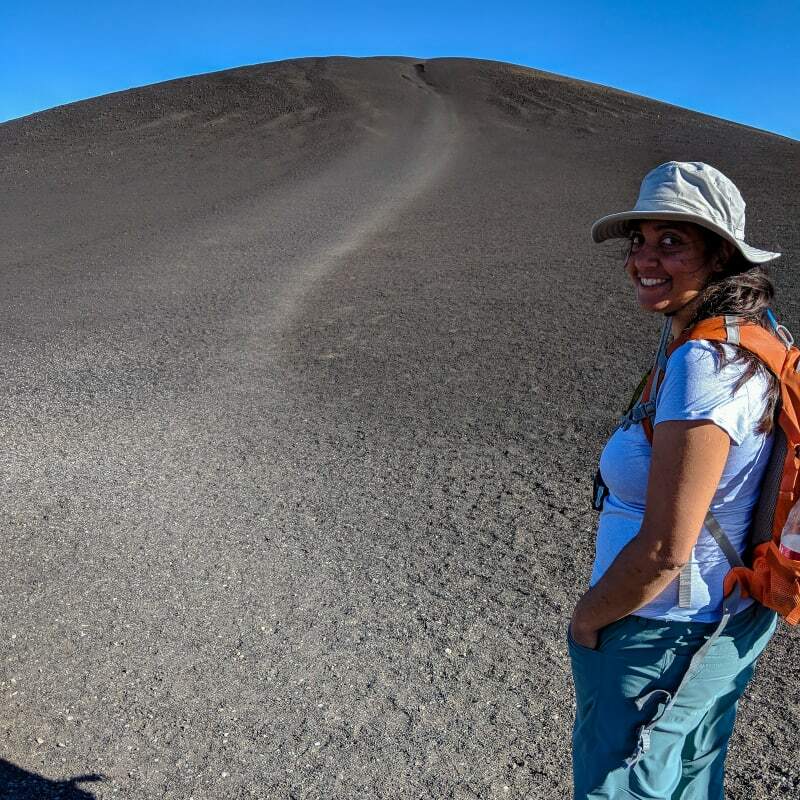 We hiked to the top of Inferno Cone, a great example of a cinder cone which forms from gas-rich lava, and had great views of the surrounding areas of the park. We also hiked to the Spatter Cones, which form from taffy-like lava blobs. 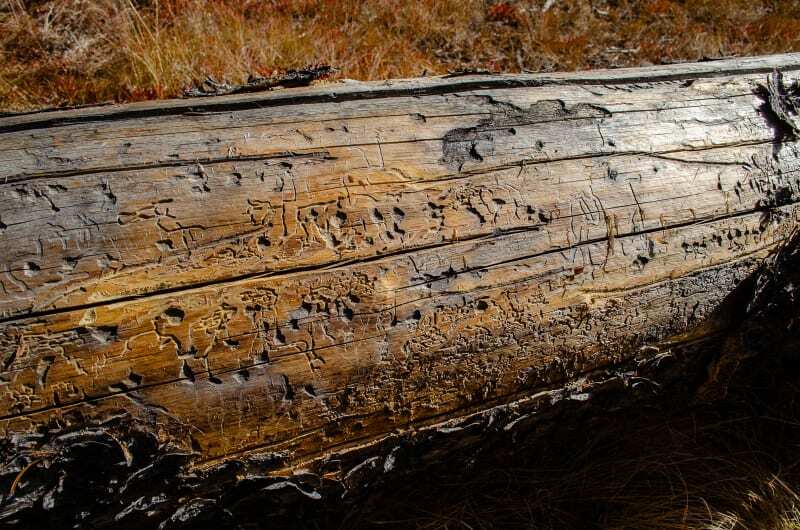 The ones in the park are some of the best-preserved examples of spatter cones in the world. The national monument does have a camping area, and it looked awesome. 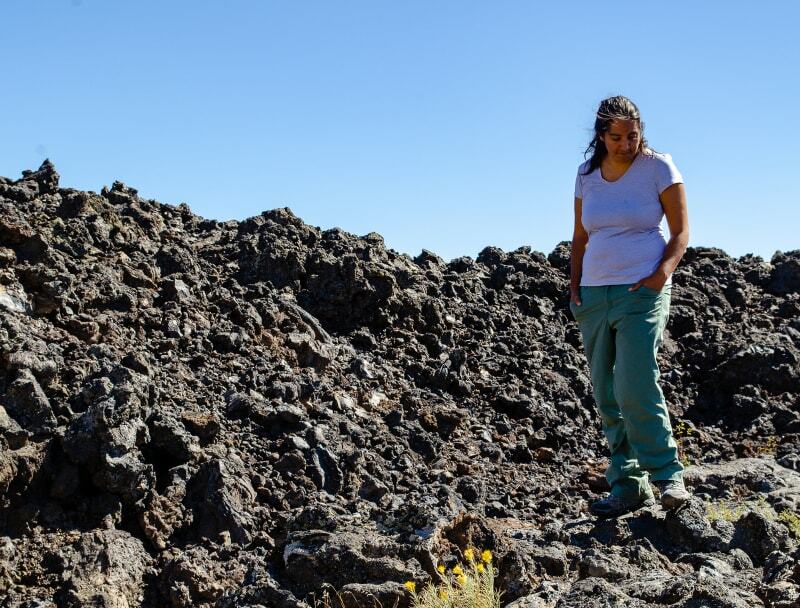 The sites are right in the lava field. Unfortunately, the majority of the sites wouldn’t fit an RV of our size, so we couldn’t camp there. 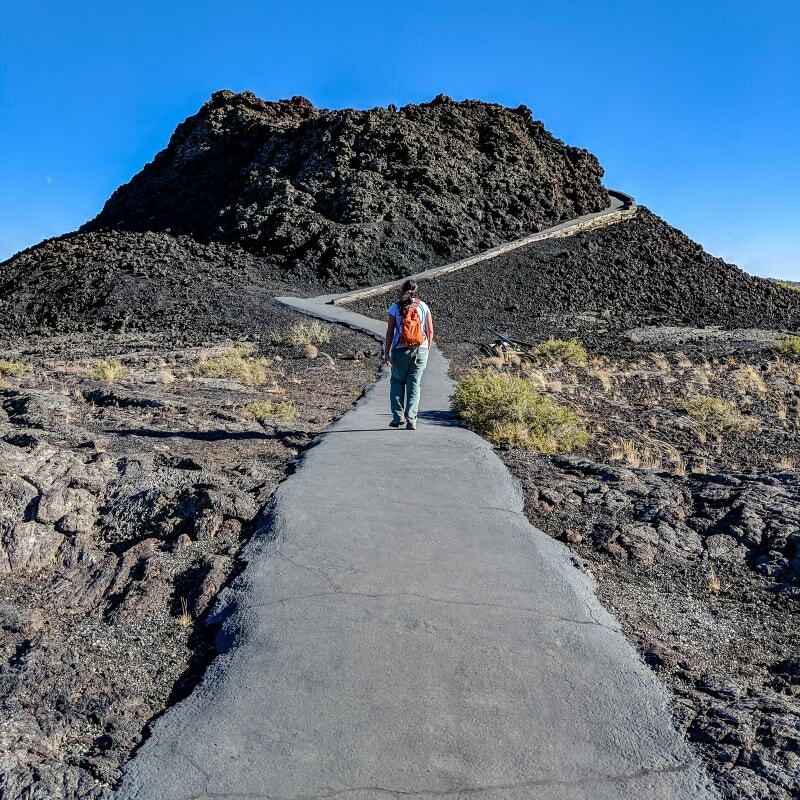 There isn’t quite enough to do at Craters of the Moon to justify a trip all by itself, but if you’re ever nearby (say, visiting Sawtooth National Recreation Area), it’s definitely worth a visit. It’s unlike anything else I’ve ever seen. More importantly, if you complete the junior ranger program, you get a National Park Lunar Ranger badge! Sadly, I did not know that at the time, or I would have completed it, and I’d be wearing that badge every day! After Idaho, we crossed into Wyoming to visit Grand Teton National Park.